Can Six Sigma tools learned in Six Sigma Training be used outside of the scope of a Six Sigma Project? Within the scope of Six Sigma Projects, six sigma training teaches that many tools for analysis and measuring will come in handy during the process. However, what can those tools do for an organization when they are employed outside of the Six Sigma project realm? Are they even applicable to be used beyond the project medium? There is some debate that the tools given to students of Six Sigma training are more useful than they initially appear because they can actually be used on a standalone basis. Once a Six Sigma Process has been completed to correct a larger process, there might still be small discrepancies that need to be resolved. The answer here seems to be to try out the different tools of Six Sigma and see which ones can be beneficial without the entire process. Attempting to measure or guess about the root of a problem without the right tools can be very ineffective and not as helpful as many people might like. Guesswork is great, but not when it comes to process improvement and fixing defective products and processes. A finite tool for quantitative analysis is needed to make the most of this process from start to finish. Which tools should be used, though? This will depend on the problem that is being experienced. For example, if a process is off by a slight variation, a measurement can be run using tools from Six Sigma to determine how the variation affects quality and how that can be countered in the process so as to lower the defect rate. This small glitch doesn’t require an entire Six Sigma process to fix it, but those same tools might be of use in and of themselves. It will end up being a matter of how secure the process owner is in their Six Sigma Training as to whether they utilize tools outside of the project realm or not. 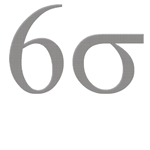 Six Sigma is a great concept, and there are no guidelines that say that the tools won’t be effective when used alone. It’s definitely worth a shot, considering that Six Sigma Tools are all much more finite and quantifiable than other process improvement techniques that you might consider. Take the time to look at the options, assess the situation, and determine if these tools could be helpful and how. If it seems logical and has a productive end result, then go ahead and give it a try. Proven tools of Sigma Six have to be better than guessing games, anyway.